3% transportation fee per person, Morning departure: 8 am, returns at 2:30 pm. Afternoon departure: 12:30 pm, returns at 7 pm. 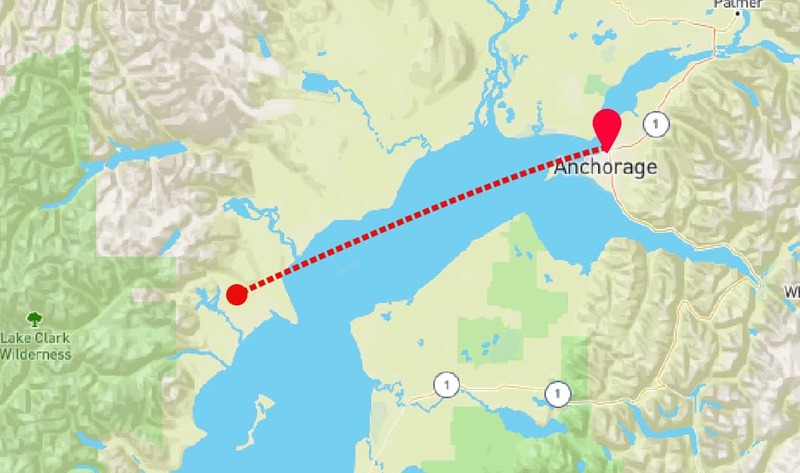 Depart from Lake Hood, the world’s busiest floatplane harbor and fly southwest over Cook Inlet and the western edge of the Kenai Peninsula to the foothills of the Lake Clark National Park. During the flight, your pilot will share information on scenic highlights, while flying low enough to spot Alaska wildlife. You may also fly over Cook Inlet, spotting for Beluga whales. Your pilot will pick the best route for the weather conditions and scenic possibilities. 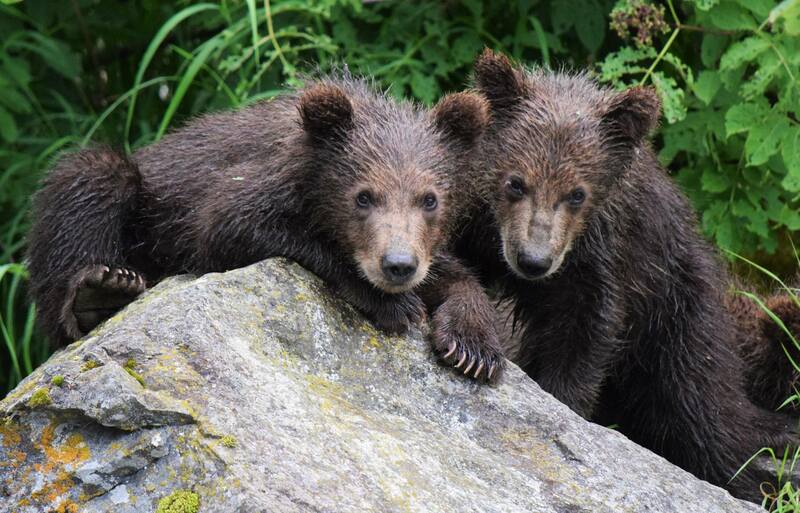 View Alaska black and brown bears in their natural habitat on a guided, fly-out Alaska bear watching trip at Redoubt Bay Lodge, a small rustic hand made lodge situated in a 171,000-acre critical habitat area. 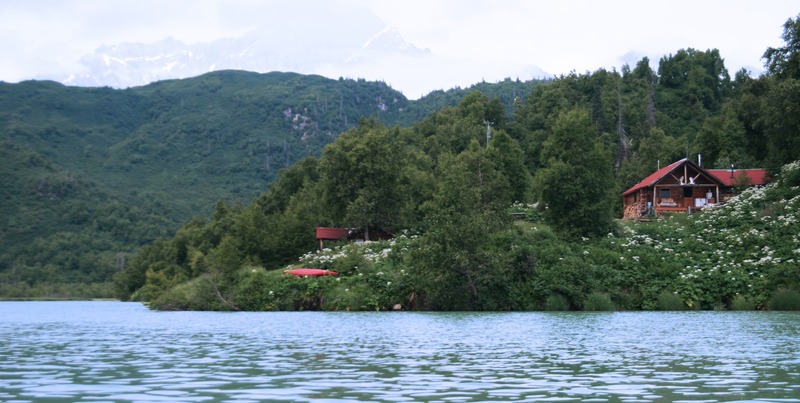 Redoubt Bay Lodge is located 70 miles southwest of Anchorage near the beautiful entrance of Lake Clark National Park and Preserve. 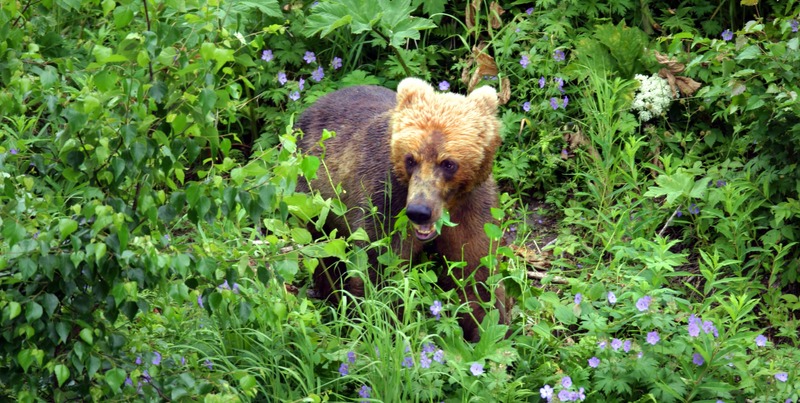 Redoubt Bay is home to one of the most concentrated and viewable bear populations in the state of Alaska. 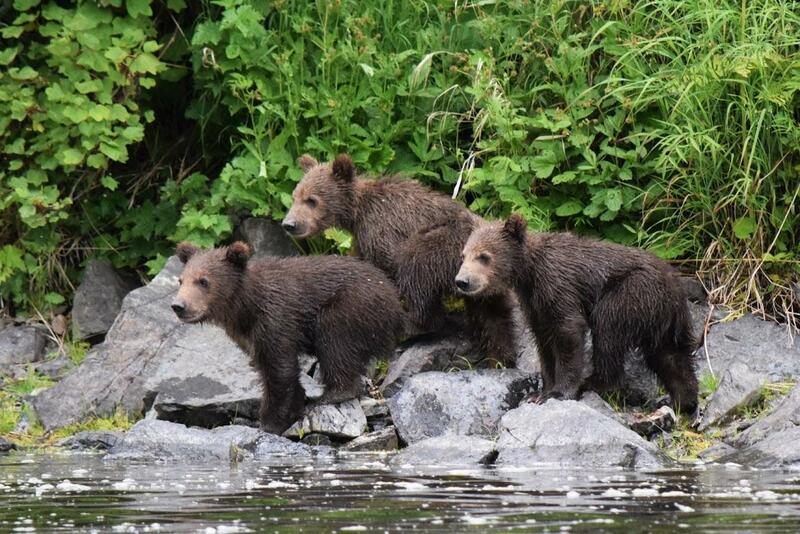 As your Alaska bear watching trip begins, bear viewing is from a covered pontoon boat with our experienced naturalist guides through the chain of Big River Lakes, host to sockeye and Coho salmon runs and popular feeding site for resident bear. 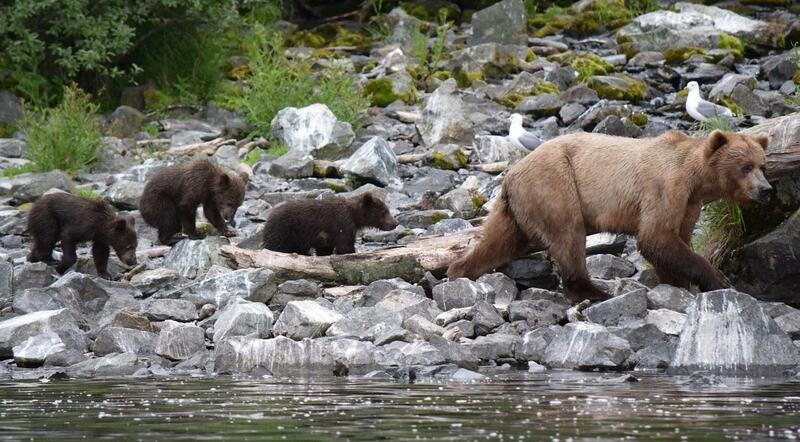 This bear viewing location does attract quite a few fishermen as well as bears. This bear viewing trip is an easy day trip from Anchorage to the Redoubt Bay Critical Habitat Area. Enjoy a half-day trip with morning or afternoon departures, approximately 6 1/2 hours (extended and overnight packages are available). A hot lunch served in the main lodge is included in the price.